Wan compressor parent is a TCP proxy which makes TCP connections send less data, which improves TCP performance and throughput over lossy links, slow links and long links. This improve performance over satellite, wireless and WAN links. 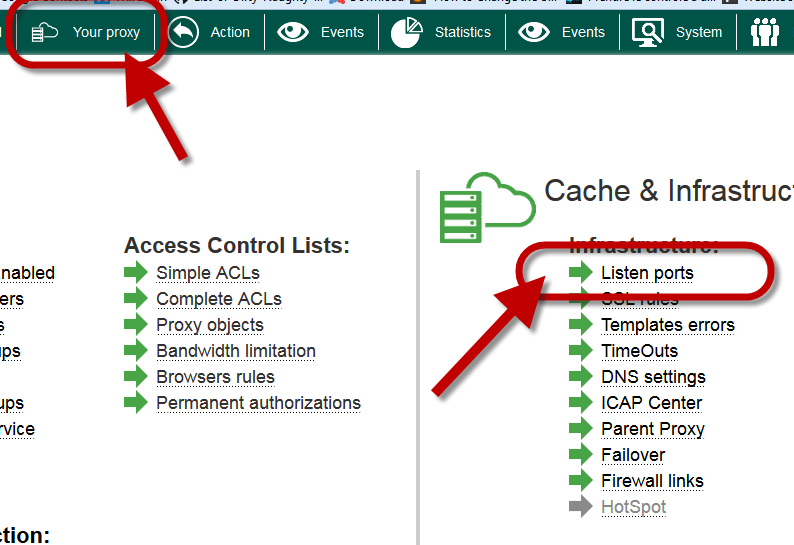 This a client-server Architecture where the Artica Proxy parent located in the headquarter provides Internet access to Artica Proxy located on each remote offices. It requires two instances, running on each side of the link that you want to optimize. 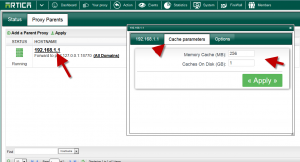 We call child to the instance running in the remote site (for example, a branch) and Parent to the instance running in the datacenters or in the the side where the high speed connection to the applications exists. 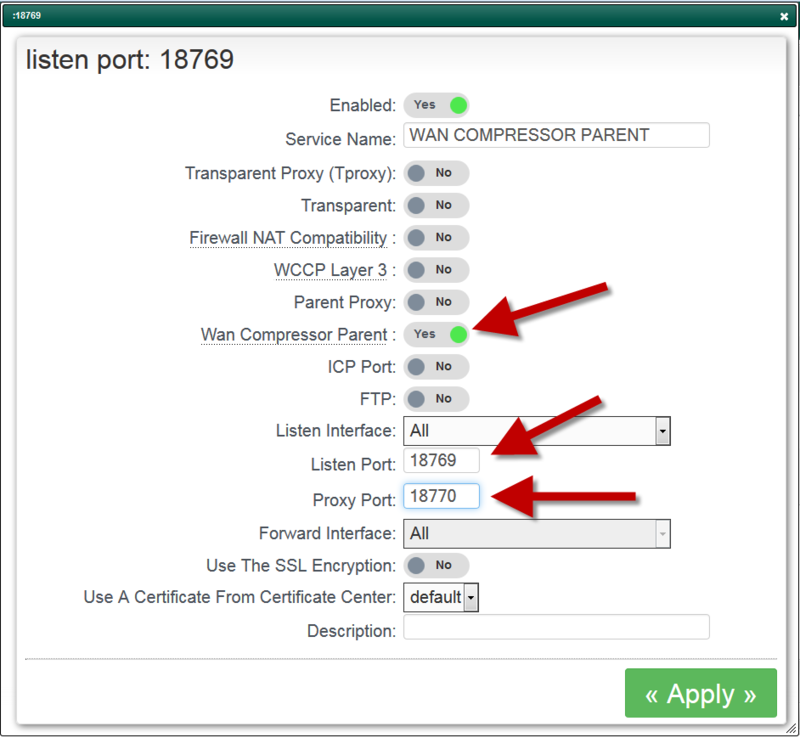 Turn ON the Wan compressor Parent option. 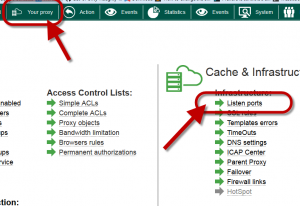 Set the listen port of the Wan compressor service. 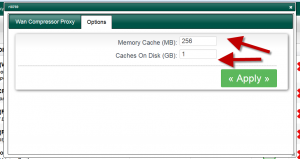 Select the added port in the table. 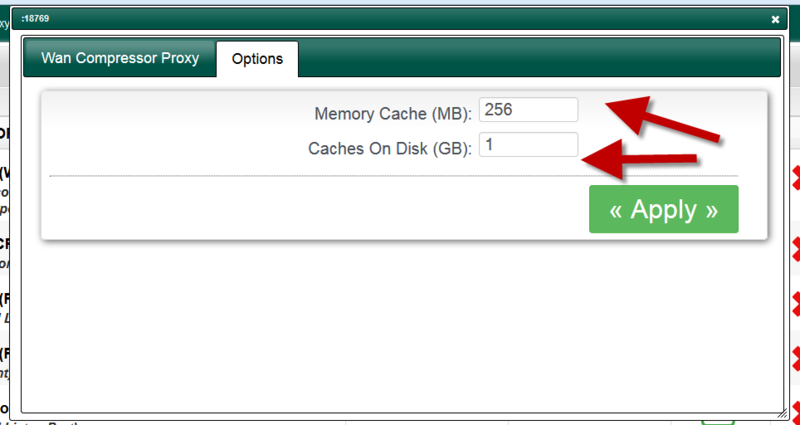 To not use the cache and just compress protocol, set 0 on each field. 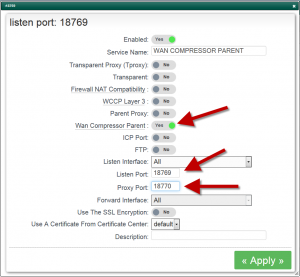 Give the ip address and the listen Wan compressor port of your parent proxy. 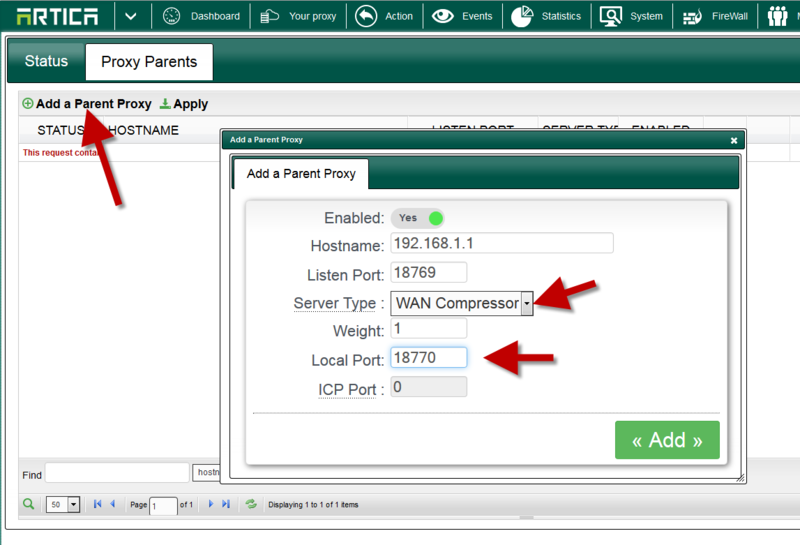 Choose Wan Compressor item in the drop-down list. 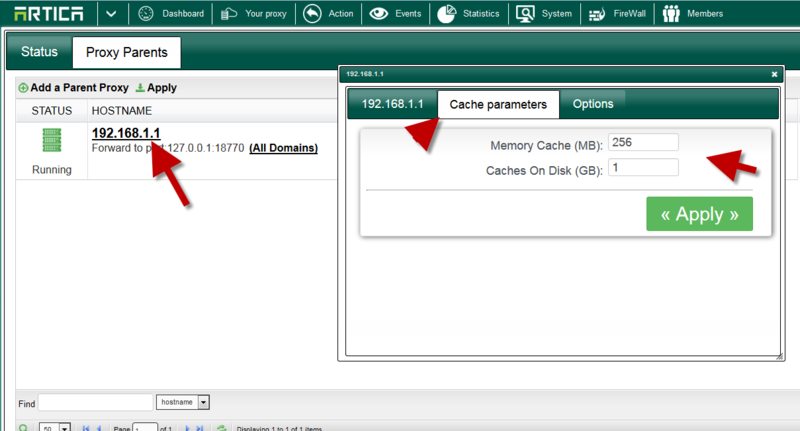 Select the Cache parameters tab.